Minnesota has a large number of Mound Systems being used every day. Anoka County MN is no exception to this rule. These types of Advanced – Residential On-site Sewage Disposal Systems can sometimes be identified by the Elevated Sand Mound Constructed on the property. They are commonly used for properties with Poor Soil Conditions. Basically, this means that either the Site or Soil will not lend itself to a more Conventional Gravity Type Septic System. A licensed, CSI Custom Septic, Inc. Septic System Designer can help to determine if a Alternative Mound System is right for your home. Pretreatment of sewage begins inside of the Septic Tank. What happens after that is determined by the type of Sewage Disposal System that you are using. With a Mound System, the waste water is pumped into a hill that is raised up enough to allow for adequate filtering before reaching the water table below. The liquid is treated further when it is absorbed through the Gravel, Sand Fill and Natural Subsoil. When Are Mound Systems Installed? Find out if a Constructed Sand Mound System is best suited for your property by asking the experts at CSI Custom Septic, Inc. 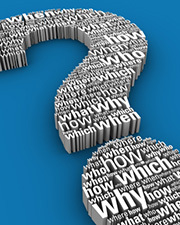 There are several different factors that go into the decision. 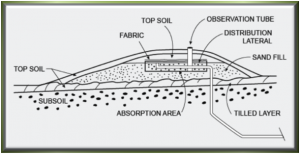 As a Licensed Septic System Designer, CSI has designed and constructed many Conventional Gravity Septic Systems and Elevated Mound Systems that are still in used today. You will want to make sure that your Sewage Disposal System is Installed and engineered to last for many years with proper Care & Maintenance. CSI Custom Septic Inc. serves Anoka County and surrounding Minnesota counties. Contact us at 763-218-4769 to discuss your Mound System Design Project – Today!